The hugely popular Strictly Banbury returned this weekend, and our own Stuart Copp donned his sequins and dancing shoes for the annual ballroom challenge. Organised by the Step By Step Dance School, the 2016 competition promised to be more spectacular than ever. Now in its seventh year, Strictly Banbury began in 2009 when the Step By Step Dance School held the inaugural competition in conjunction with the Banbury Guardian. The competition has heated up year on year, with increasing numbers of local and heroic fundraisers training tirelessly for the Strictly Banbury crown. After weeks of training, our very own Stuart Copp, and his dance partner Stacey, competed in the Cha Cha and Viennese Waltz events on Saturday evening. Whilst Stuart & Stacey didn't win their events, they had an amazing time competing and deserve the biggest congratulations! Over £10,000 Raised For Local Charities! The 2016 competition featured three nights of sparkling entertainment and competition, all in support of the Thames Valley Air Ambulance and Age UK Oxfordshire. With tickets at £17.50, and additional donations made throughout the weekend, Strictly Banbury 2016 raised a whopping £9,053 for Thames Valley Air Ambulance and £2,114 for Age UK Oxfordshire. 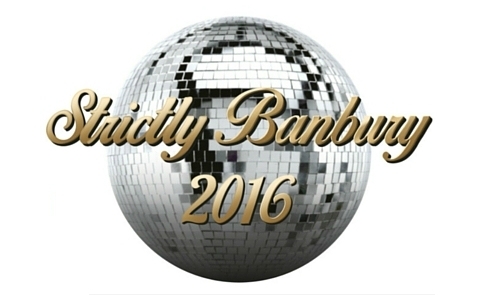 For more information about the event, check out the Strictly Banbury Facebook page today!